More than 7 million people visit emergency departments in the US yearly with chest pain, which sometimes, but not always, indicates heart attack. Now, a new test can reduce the stress of waiting and wondering by providing a fast and accurate assurance that a heart attack is unlikely. The high sensitivity cardiac troponin test is a blood test that can measure low levels of troponin, a protein released from the heart during a heart attack. The test can quickly and safely rule out a diagnosis of heart attack for many people, according to new research published in The Lancet. Using the test in routine practice could save patients from spending many hours in the emergency department, say the authors, led by a team from the University of Edinburgh in the UK. 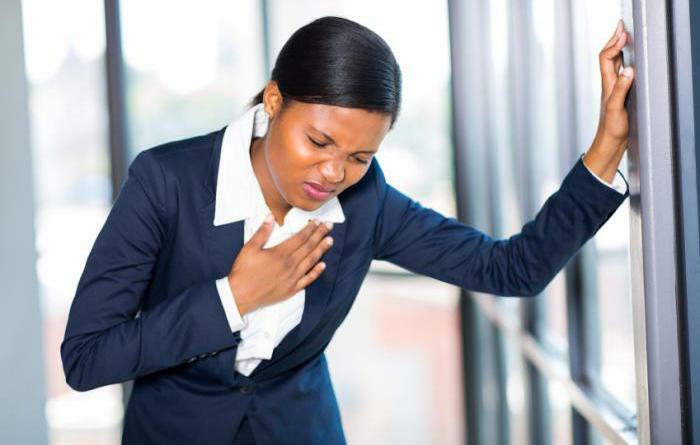 International guidelines recommend that individuals presenting with chest pain should be admitted to the hospital to be tested for very high levels of troponin (above the 99th percentile) to affirm that a heart attack has occurred. To do this, patients must be admitted into the hospital or wait for a long time in the emergency department for repeat testing. Scientists found that the new test could detect far lower levels of troponin in the blood than previously possible, and they wanted to know if detecting troponin levels of less than 5 ng/L or less in patients with chest pain would predict that the patient was not at risk of a heart attack. The research, funded by the British Heart Foundation (BHF), involved testing the troponin levels of over 6,000 people arriving with chest pain at the emergency departments of four Scottish hospitals. The probability that patients were not at risk of heart attack or subsequent death from a heart condition after 30 days was evaluated through reference to a range of troponin concentrations. A troponin threshold of less than 5 ng/L identified 61% of patients at very low risk of heart attack, with a negative predictive value of 99.6%, regardless of any prior complaint or condition. A year later, the same patients still had a three times lower risk of heart attack and cardiac death than those who had troponin levels of 5 ng/L or higher. Those who tested negative for a heart attack could have been discharged safely and quickly. Lead author Dr. Aroop Shah, from the University of Edinburgh in the UK, comments that until now, there has not been a quick way to rule out a heart attack within emergency departments. Earlier this year, the BHF showed that the same test could double diagnosis rates of heart attacks in women. They found that using different criteria for a positive test improved diagnosis rates so that 1 in 5 women were diagnosed, compared with the standard test that diagnoses just 1 in 10 women. of. Jeremy Pearson, associate medical director at the BHF, comments that a faster, more accurate diagnosis will benefit both patients and health services. He points out that while it is important not to miss a heart attack diagnosis, it is also better for people not to be spending time in the hospital undergoing unnecessary tests. He believes that the new test can bring benefits without compromising safety. The results of this study are expected to inform national and international clinical guidelines on the early rule-out of heart attacks. This will impact on how the majority of patients presenting with chest pain are managed in emergency departments, and will influence future health care service provision and patient care.